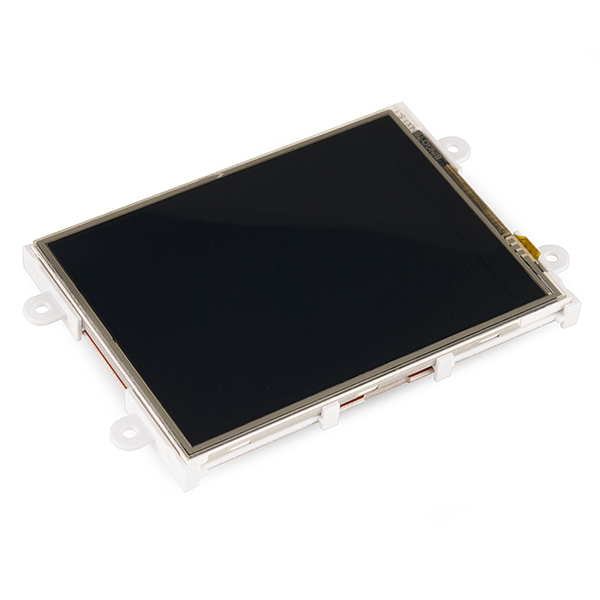 The µLCD-32PTU is a compact Intelligent Display Module from 4D Systems packed with plenty of features, ready to become the GUI for your project, and capable of being an interface controller for a number of applications. At the heart of the design is the PICASO processor, which is driven by a highly optimised virtual core engine called EVE (Extensible Virtual Engine). A whole bunch of hardware and software peripherals have been integrated into the design, to give you the freedom to adapt the module to suit almost any application. 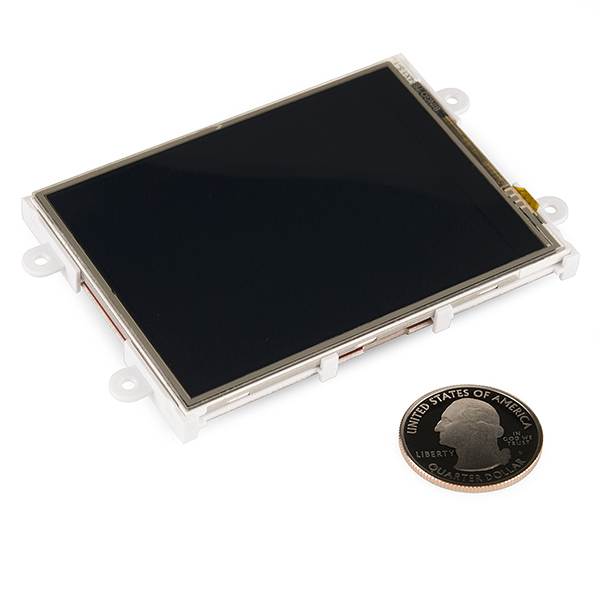 The µLCD-32PTU is a combination of a 3.2” (240x320) LCD Screen, audio amplifier and speaker, micro-SD card connector, Lithium Polymer (LiPo) battery support, along with a group of general purpose input/output pins (GPIO's), including I2C and serial COMMS. Note: The module can be switched to a "SGC" by changing the firmware. It's been brought to our attention that trying to program the 4D screens using an FTDI breakout can damage the driver. 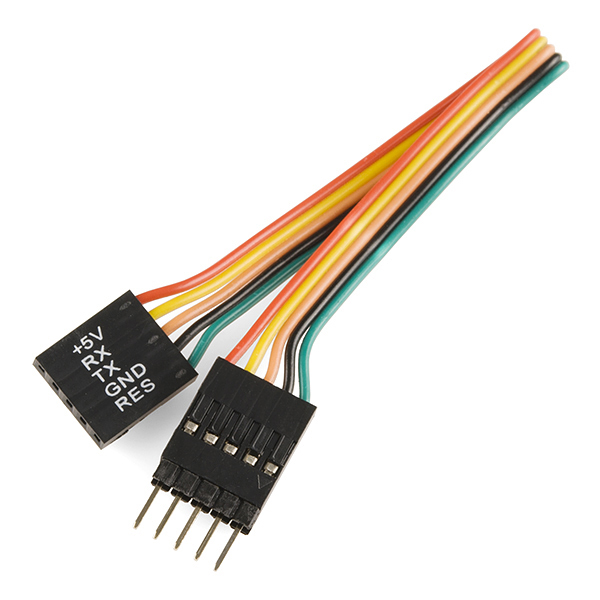 Check the Recommended Items section below for 4D Systems' µUSB-PA5. 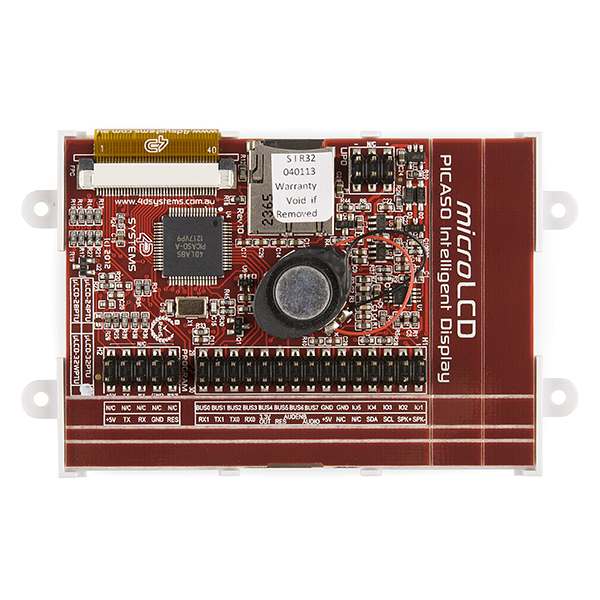 Does anyone know if this would work with the raspberry pi? I believe the cable shown is listed, but it is just a flat ribbon cable, you will still need the USB to serial adapter to program the board. The datasheet shows that this can be programmed with a proprietary USB cable, but I'm curious if it can be programmed with an FTDI breakout. Has anyone tried this? i've run over a dozen of these via a USB to UART dongle picked up on ebay for $1. Warning, they used to claim that using any other cable would void your warrantee, not sure if that is still the case or not. Wait...you've "run" over a dozen of these or "programmed" over a dozen of these with the $1 USB dongle from eBay? Both. in "run", I use it in serial mode and drive via USB. I've also programmed them via the same adapter. Please consider carrying the bezels for these in stock. 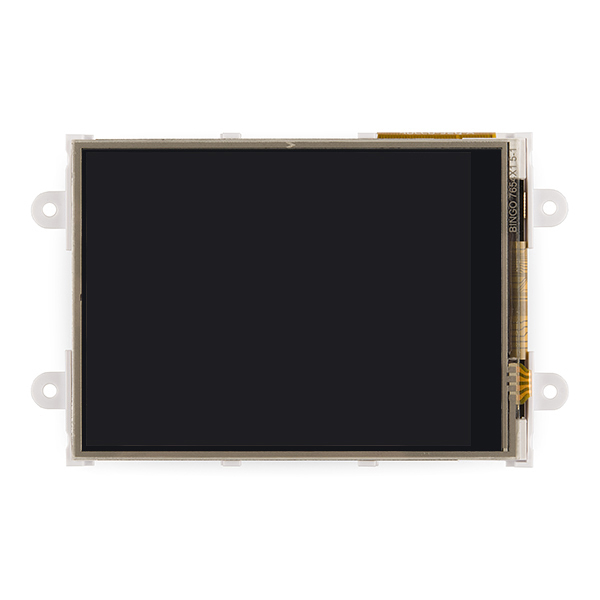 I need with CAPACITIVE touch panel with same size, are you sell that product? Thank You. I was having trouble controlling the display and late last night discovered that the 5-pin ribbon cable had an open circuit on the green reset wire. I took the connector apart and the conductors are all cut right at the edge of the insulation where the crimping tool would have clamped down to close around the insulation. The mfg. should be notified to check the crimping setup. Jay. PS: I took a picture if you want to see it. Silly question, how difficult would it be to work with this on an Arduino Pro? Holy cow, that's an amazing display! Anything it doesn't do? It won't do SPI, and the compiler does not support double precision -- the 16-bit integer arithmetic can be very limiting so don't use it where you need wide ranges of numbers unless you want to write some double-precision routines yourself. Why is it listed as being 240x320? Shouldn't that be 320x240? Or did everyone switch to using displays in portrait mode when I wasn't looking? edit: I see, the viewing angles are made for portrait mode, so obviously that makes it 240x320. The programming environment is also amazingly easy. You can download it for free from their web site. I was just playing with the visi-genie mode. And you can program it in landscape or portrait setting. Very easy to get started on. Using Visi-Genie it takes very little time to get a good understanding of how to use the display. Connecting it to an Arduino for some analog inputs took little time. It was exceptionally easy, for the complexity of the projects that can be done.